Changing one’s hair colour is like a secret handshake into a world of feminine mystique. Every season, we’re exposed to a myriad of trends that we see, be it on the runway or on the streets. But essentially, your own hair is what can easily define you as an individual. Think of it this way, your hair is a canvas that projects your persona — be it as loud as your stylish best friend, like Awkwafina’s brassy ‘do in Crazy Rich Asians or someone who prefers the many shades of grey. It’s sweet, colourful and synonymous with summertime. Getting the perfect shade can be a little tough to achieve considering the fact that most of us, who are presumably Asians, are born with naturally dark hair. So if you’re planning to give your hair a splash of colour, well, all we have to say is, prepare to get them bleached. We know, dyeing it a new colour is not as simple as it seems. And of course, as much as we do want to experiment with new colours, we all know how damaging and harmful the effects of bleaching has on our hair. I mean, who would want to give their luscious locks up in exchange for dry and frizzy hair right? 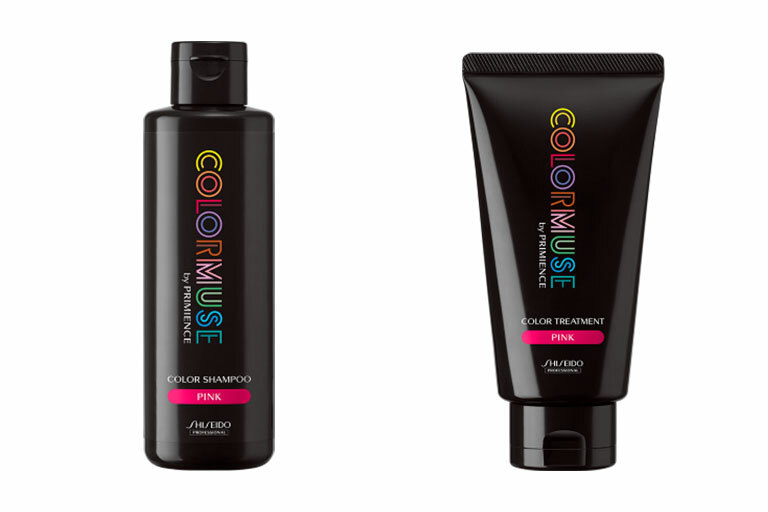 So here’s a better option: Shiseido Professional’s new Colormuse hair dyes, that you can now find at hair salons. From pinks to violets to blues, the options are endless, so you’re free to let your creativity and imagination run wild — maybe try a shade you’ve always dreamed of, but never dared to? If you’re in need of some ideas, take a cue from Shiseido Professional’s recent collaboration with some of these well-known hair salons in Singapore. As part of the brand’s #whatsyourmuse campaign, they’ve put together these specially curated looks, done with the new Colormuse palette. It goes without saying that the colours are super customisable and unique for each individual! 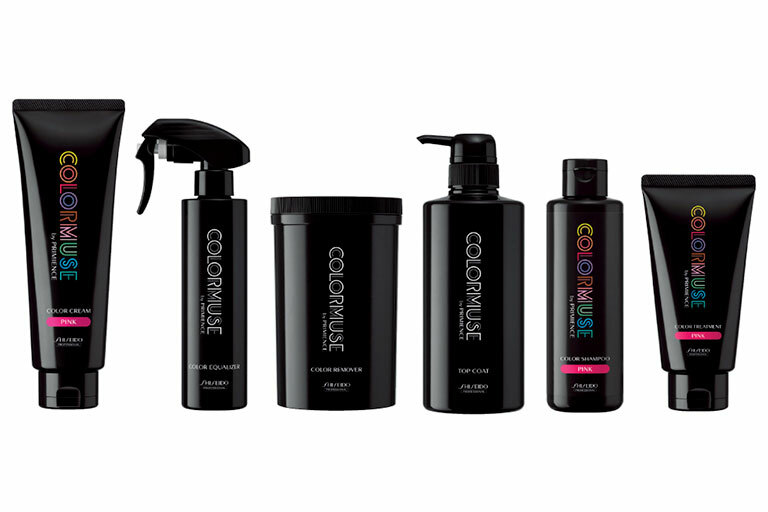 Colormuse also has a Penetration Enhancing Complex, that works with both direct-dye and skincare components, allowing better penetration of the hair cuticles for a longer lasting colour. 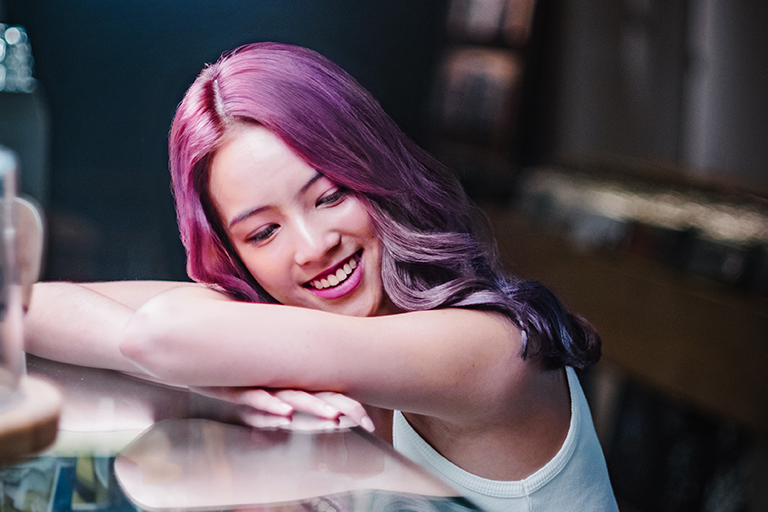 Asian hair, in general, is different from the other hair types, which explains why it requires certain types of hair dyes for the colours you’re looking to achieve. For instance, the redness in Asian hair is usually more resistant to absorbing colours. However, the new range by Colormuse makes it possible and easier for us Asians. Formulated with anti-red melanin colour pigments, the product makes your hair more manageable while creating vibrant results, giving more colour options for you to choose from – just like this hot Crimson Red number done by Justin Javier from Shunji Matsuo Hair Studios. And believe it or not, it’s sort of like a skincare product for your hair too! Their treatment colour is built from Shiseido’s one-of-a-kind skincare technology – “Aqua-In-Pool” which helps to penetrate the colourants inside the hair cuticles to provide longer lasting colour while boosting the moisture levels in your hair. Talk about having the best of both worlds! Psst, not to forget, it protects hair from everyday damage too. Formulated with S-hyaluronic acid, the treatment helps to replenish the colour and restore moisture to your hair for a smoother and softer finish — having dry and frizzy hair will be the least of your worries! On top of their line of hair dyes, the new collection by Shiseido Professional also comes with Colour Shampoos and Colour Treatments, available in three colours (Blue, Pink and Violet), to be used as an aftercare treatment to prolong the colour of your hair. WIN! We’re giving away 10 hair colour services with a set of the new Colormuse Coloured Shampoo and Treatment, from Shiseido Professional! To stand a chance to win, all you have to do is to visit us on our Facebook page and participate in our FB Giveaway by clicking on this link!